Joomla 3.9.2 is now available for update, everyone should update immediately, this is a security release which addresses 3 security vulnerabilities (directory traversal in com_media component, helpsites refresh endpoint callable for non authenticated users and Object.prototype pollution in JQuery $.extend), also this release contains more than 20 bug fixes. 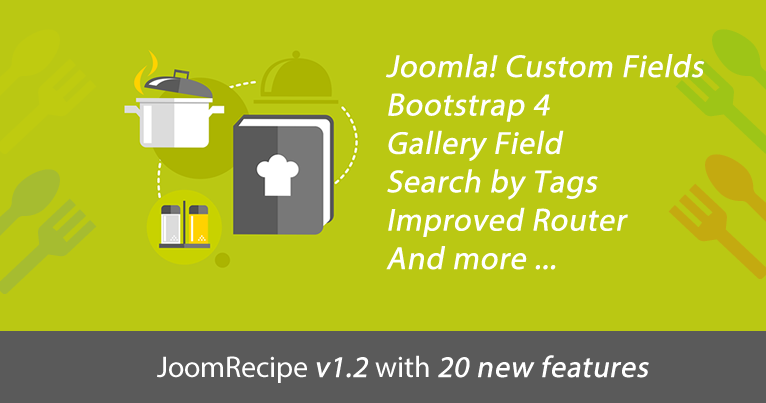 Good News for JoomRecipe users, the best recipe management component for Joomla! was updated to v1.2 that brings more than 20 new feature and improvement. Joomla 3.9.3 is now available for update. This is a security release which addresses 6 security vulnerabilities also contains +30 bug fixes, and includes various security related improvements, everyone should update quickly. Check for the latest JoomProject version. If you are running an earlier release of the current version (version 1.1.3.2 or lower), you should upgrade to the current version immediately. This release fixes projects information disclosure in json format. As you know, this is security release version, so we encourage you to download and update latest JoomProject version to increase security level of your website. Good news for JoomTestimonials users. 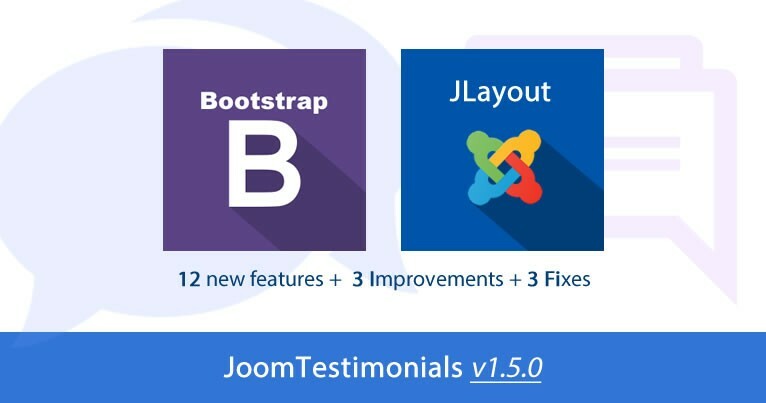 The best Joomla testimonials manager extension was just updated to 1.5.0 version that brings Bootstrap 4 support (no more conflicts with old Bootstrap versions), also all our Testimonials views use JLayout core feature which means better reuse of testimonial layout and less duplicated code.